Without a doubt this is the best movie that I have seen this year. Captain Phillips will take you through a roller coaster of emotions throughout the entire movie. Captain Phillips (directed by Paul Greengrass) focuses on merchant mariner Captain Richard Phillips (played by Tom Hanks), who was taken hostage by Somali pirates in the Indian Ocean during the Maersk Alabama hijacking in 2009 led by Abduwali Muse (played by newcomer Barkhad Abdi). When I heard that there was going to be a movie made on Captain Phillips I was ecstatic. I always loved and enjoyed movies that were based on real people and actual events. I am happy to say that I was not let down by the film. 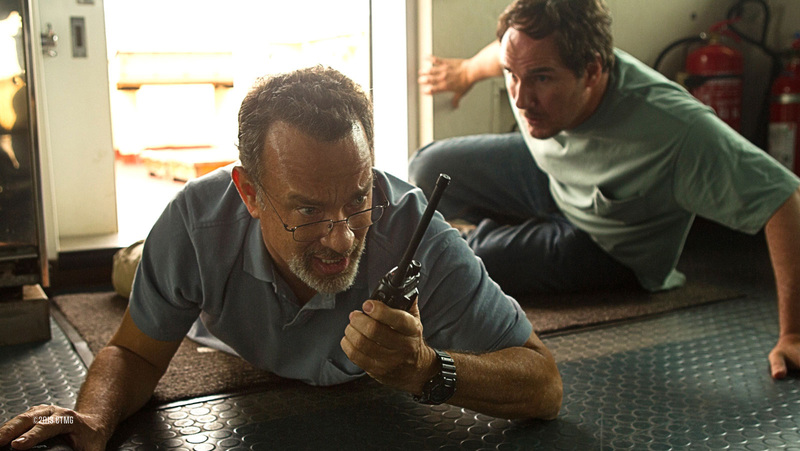 Captain Phillips was fast paced and had outstanding Academy Award worthy performance from Tom Hanks and Barkhad Abdi. Tom Hanks portrayed Captain Phillips as a family man and as a captain who would willingly give his life for the men under his command. The performance was so moving that I actually shed a tear during some very emotional scenes with Captain Phillips. Barkhad Abdi’s portyal of the pirate leader Muse was one of the most terrifying and powerful performances that I have ever seen in a film. He portrayed Muse as a man who was determined to prove his worth and would do anything it took to complete any task that stood before him. I believe that he will go on to be nominated for an Academy Award this year and be triumphant. One approach to the film that I found to be very interesting was that Captain Phillips also presented the point of view of the pirates and some background into their lives. This approach showed that these men weren’t bloodthirsty or without emotion. It showed them as men who were trying to survive in a part of the world that time has forgotten. Go see this movie and you will be entertained and at times moved to tears. Bring a few tissues when you see this movie. They will come in handy, trust me.